Performance testing is an important part of any distributed or Web application testing plan. When it comes to enterprise or business class applications, the performance of the system becomes a major focus area. OdiTek aims to provide you best performance testing services using open source JMeter. 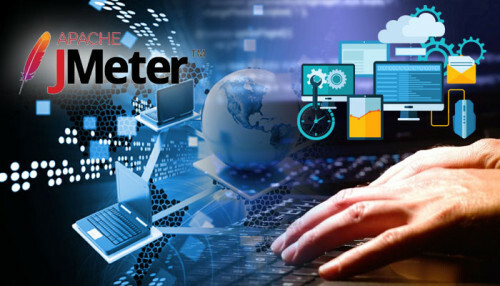 Apache JMeter—a performance testing framework from Apache, has been widely accepted as a performance testing tool for Web applications. It can be used to analyze overall server performance under simulated heavy load. The software features FTP and HTTP requests and extensible custom scripting features. It can be widely used for a variety of applications. JMeter offers a desktop application for which the scripts can be designed and run with. JMeter can also be used from different kinds of build environments (such as Maven, Gradle, Ant, …) from which running the tests can be automated with. We also use it to test the load and performances on different servers like HTTP, HTTPS, Mail servers and so on. We develop some customized plug-ins for testing certain features and aspects of the application. We offer comprehensive software testing and other related solutions. Oditek helps you predict application behavior and performance in a simulated, real-life environment, thus saving you from unpleasant events later, which frustrate customers and impact profitability. We ensure the application is responsive and reliable enough to respond to peak load days like a black Friday sale and can also scale to other future events like product release, acquisitions, new clients, regulatory changes and ongoing business growth. We also ensure the applications can meet any contractual obligations and SLAs for performance. We conduct performance testing of applications across domains and technologies, including web-based n-tier applications, client-server applications, SOA based solutions or COTS solutions. We have experience with all industry-leading performance testing and monitoring tools, along with expertise in end-to-end application performance including network, database, hardware, etc. We publish a detailed performance testing report for the application with response times, break-point, peak load, memory leaks, resource utilization, uptime, etc. We provide clear and actionable application tuning recommendations and help you implement those working closely with various IT teams in your enterprise. Detailed and easy to understand documentation of test results help the stakeholders understand real application behavior.